The hottest seller in the SnoPlanks line, the SnoFish Split is on back order and is unlikely to become easily available anytime soon. James Nicol Photo. 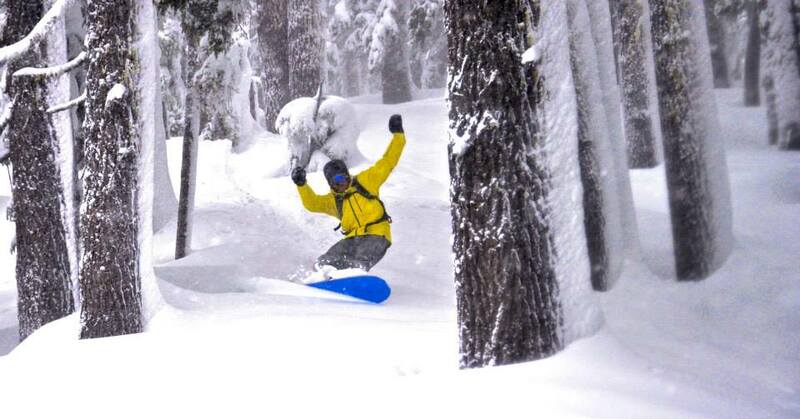 People from the West Coast grow up riding powder—they're lucky like that! Whether it’s light and fluffy cold smoke or mashed potato chunder, the maritime ranges have a way of yielding multi-foot dumps on the regular. Call it what you will: Sierra Cement or Cascade Concrete—the idea is the same. A few degrees difference on the old thermostat can be the difference between powder pleasure and powder punishment. A product of the Mt. Bachelor scene, SnoPlanks is a start-up out of Bend, Oregon that is attempting to address some of the challenges faced by powder hounds in an unpredictable snowpack. 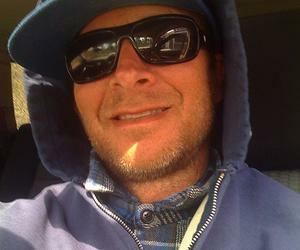 Co-founder and lead builder James Nicol spent most of his adult life surfing the breaks in and around San Diego. But upon starting a family he relocated to Bend, bringing with him a surf-centric frame of reference in his approach to riding and craftsmanship. Keeping true to these surfing roots, the team at SnoPlanks has broken many of the classic rules of snowboard design to create a stick meant for powder. Some of their designs have reverse sidecut, all of them are rockered, but the most notably, these decks are edgeless. To reemphasize, the boards from SnoPlanks have no edges to speak of, and depending on your riding style, you may only pull it out on the deepest of days. We’re not going to be a cookie-cutter deal; if we’re unsuccessful, we’re unsuccessful. But if were’ trying to be unique, we have to be unique. This is a quiver board—let’s be different! 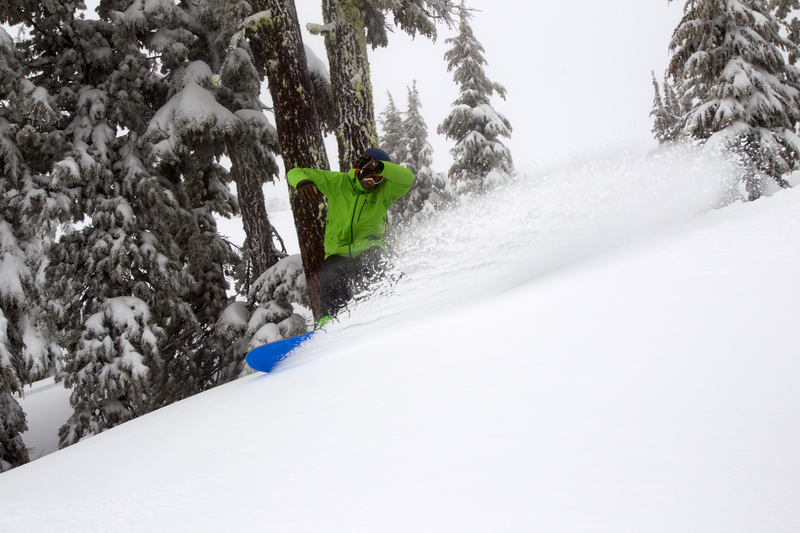 SnoPlanks founder/partner James Nicol farming the goods on a typical Cascade powder day. James Nicol Photo. The idea for SnoPlanks was born on a pow day a few years back when co-founders James Nicol and Ryan Holmes were taking laps at Bachelor. In between runs, the two started discussing the merits and shortcomings of their boards. They agreed that there had to be a better way to emulate the qualities that they wanted, so Nicol went home and started shaping. He hasn’t stopped since. Taking a page from the Alaia designs of Hawaiian tradition, over the last two seasons Nicol and his team have come up with an incredibly floaty product line that still maintains the surfiness that other rockered/experimental decks just don’t deliver. With companies such as DPS and Gentemstick as his inspiration, Nicol aspires to create hardgoods that are on the same level of any competitor, but for a fraction of the price. In an industry where you get what you pay for, he thinks that SnoPlanks can deliver a similar product as boutique manufacturers without sacrificing quality or environmental integrity. 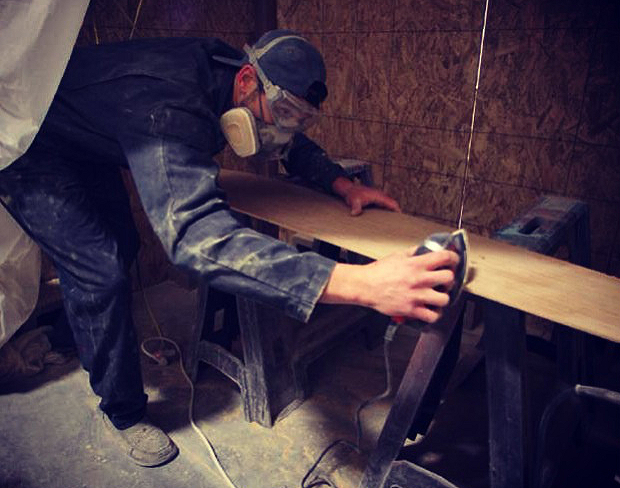 All boards are hand-shaped, sanded, finished, and branded (literally). From start to finish, these decks are shown love and individual care that is unmatched in any industrial factory setting. Nicol putting the hammer down on another piece of art. James Nicol Photo. Being able to do a lot of the tooling helped free up a lot of capital for materials and whatnot. We do everything in-house besides buying materials. In his designs, Nicol utilizes a couple exotics that are normally found in surf boards like tri-axial fibers and e-glass, but the decks themselves are crafted from bamboo, one of the strongest natural materials known to man. Reputed to have a greater tensile strength per square inch than steel, bamboo has been a popular component of ski/board manufacturers for years because of its mix of flexibility and rigidity. As of the 2014/2015 season, SnoPlanks has begun ordering all of their bamboo from a sustainable domestic source close to home in Oregon. Bamboo's great, but the resin holding it together also gets a high grade. This is usually the bane of any ski/board builders eco-cred, but SnoPlanks was an early adopter of Entropy Bio-Resins. Also called Super Sap, these resins reduce the epoxies overall carbon-footprint by more than 50%. While the burning of these resins still acts as a pollutant, the plant-based carbon of Super Sap burns much cleaner than other petroleum based carbon resins used in most ski/board manufacturing. Marcus Avila slashes through the forest on an edgeless SnoPlank. James Nicol photo. The ingredients pass the bar, but it’s the way that a SnoPlank rides that makes a difference. 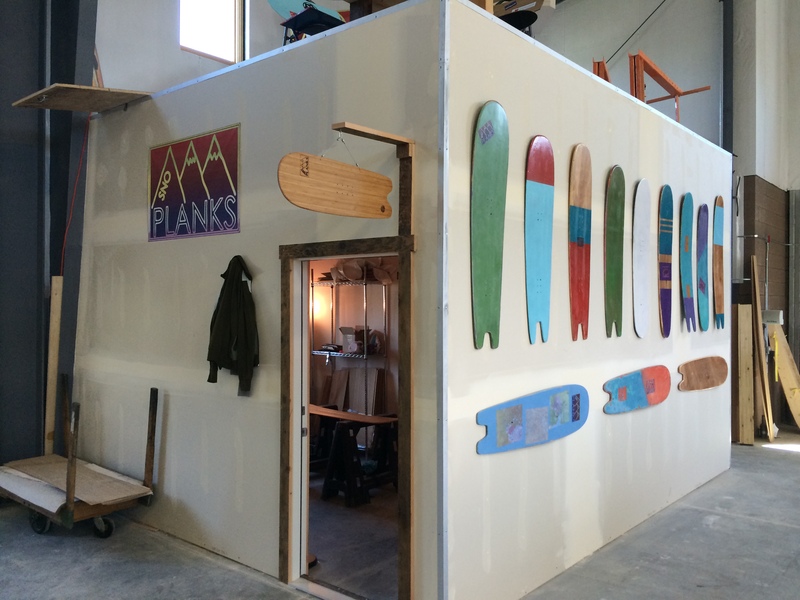 Over the last couple seasons of researching and developing, the guys at SnoPlanks honed in on several models to introduce to the public. The Model S—The first board to be developed by SnoPlanks, and perhaps its most experimental— has a reverse sidecut that on the right day could be the best thing that ever happened to powder snowboarding. On the wrong day, on hardpack, it’s ill-advised, and straight-up dangerous. The SnoFish is the next logical progression after the Model S, but with a mini sidecut, it offers a whole different type of functionality. Nowadays, the most popular deck is the Model A, with a smaller replica model, the Mini A. These boards still have a finned tail, but allow for a bit more side cut. Poppy yet stable, The Model A/Mini A can do it all in the park or the pow. As the name denotes, the Model A is SnoPlanks' flagship board, and in the future is going to be recognizable at many of our local mountains. We wanted these things to be as short as possible for maneuverability in trees, especially really steep trees. I don’t think we could make these any shorter at this point. super wide, no toe drag - a lot like a surfboard. it gives you a lot of float. Heavily sought after and already sold out, the splitboard from SnoPlanks has attracted enormous amounts of attention because of it’s high level of performance coupled with the super reasonable price tag ($599 w/gear!!). Unfortunately, if you want one, you might have to wait a while, as the demand is high. All of the SnoPlanks’ line is designed to be floaty in deep snow, whether mashed potatoes or blower, but Nicol also wanted to introduce a board that would be surfy—which meant short. “We wanted these things to be as short as possible for maneuverability in trees, especially really steep trees. I don’t think we could make these any shorter at this point. Super wide, no toe drag - a lot like a surfboard. it gives you a lot of float,” Nicol explains. The workshop where it all goes down. James Nicol Photo. We’re trying to make a quiver board that everyday people can afford—like $399 for a very high-end board—with a three-year warranty. We want to get these things out there. My partner and I have other jobs. We have the luxury of not needing to press for success here. We can look at this in the bigger picture and think long-term. We want to rep Bend, Oregon right. I was doing this in the late 1980s, designing, laminating and building big snowboards for powder. I was laminating the boards in a vacuum box with maple veneer, West Systems epoxy and P-Tex bottoms. 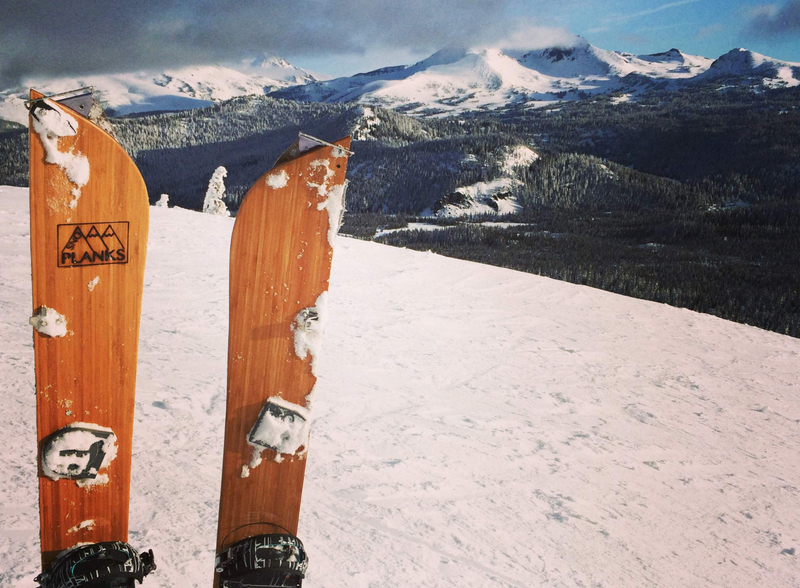 There’s nothing like snowboarding on a board that you designed and made! Great article, cool company. I love what Spring Break Snowboards is doing too.